An Indian festival is not complete without a kheer, every household have their own way of making payasam aka kheer. 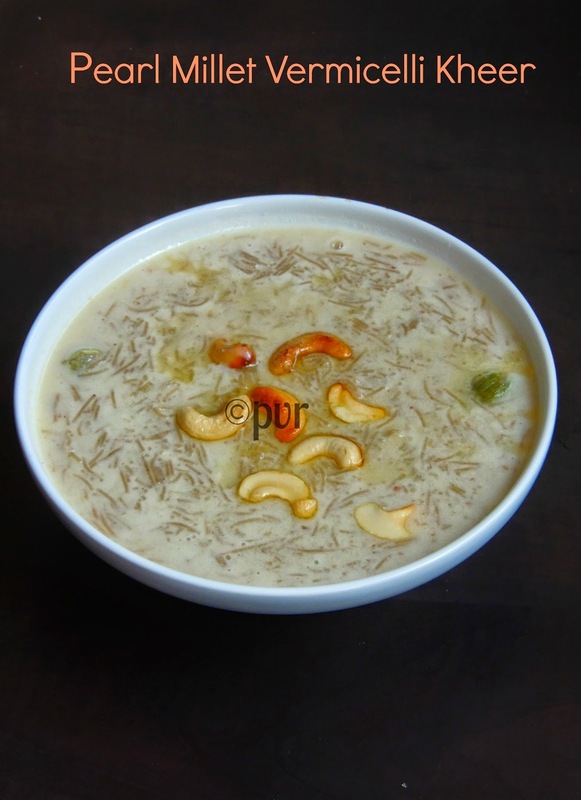 You can see varieties of kheers in this virtual world, from Sago to vermicelli, with varieties of wholegrains, this delectable sweet is prepared with many interesting ingredients. I cant imagine my festive meal without this milk based semi liquid constitency sweet. My daughter love vermicelli kheer very much, she can have it anytime, if i make kheer with vermicelli, i usually go for a huge quantity of kheer. 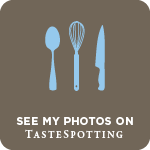 If i starts cleaning my pooja room, she will immediately ask me whether am going to make kheer for our lunch, for her if its a religious festival then there will be definitely kheer for the lunch.For this week of blogging marathon, i picked festival foods as theme. After a delicious Mango coconut burfi for Raksha Bandhan and a health Ragi paal kozhukattai for Ganesh chathurthi,today am sharing an another healthy kheer for Krishna Jayanthi celebration. Food, we live for it, we work for it. Food is the prominent need of every human being,three meals per day is a must for anyone. If you are busy or dont have enough time to cook your food at home, we definitely think about ordering our food outside. 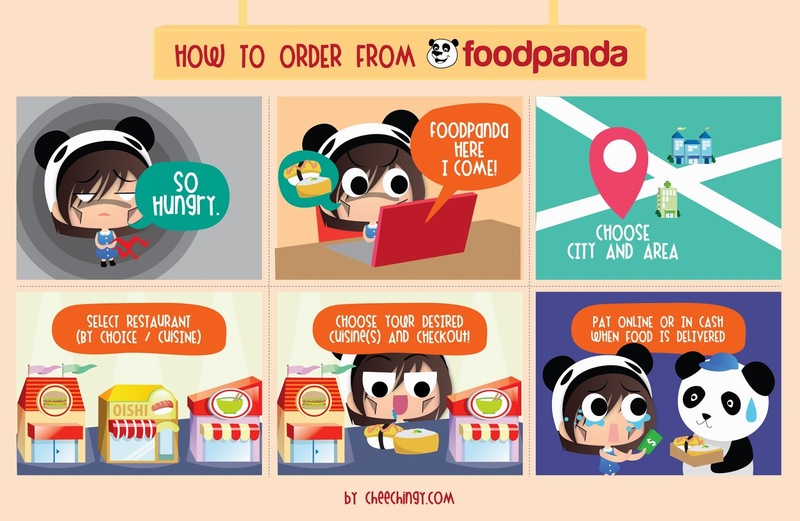 If you dont have any possibilty to go out or lazy to get your food, trust me i have something to suggest you,its really very simple to order your food with Food Panda India now, this leading order food online is there to help you.Your food will be served at your doorstep once you order throught their site. 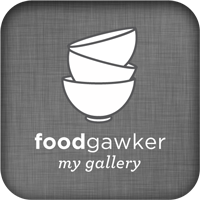 This online company for food provides good foods with restaurants available in the city where you live. They are active in 19 Indian cities like Mumbai, Chennai and have a wide range of restautants available under their roof, one more exciting news the foods are delievered for free.You can also order your food with Smartphone App from anywhere. Its very easy to order your food now from home or from your office, definitely a luxury for me. 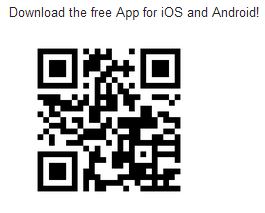 Download the free App for iOS and Android and make you order rite now. Krishna Jayanthi is a religious festival of Lord Krishna's birthday, usually we make varieties of savouries and sweets for this festival, one among the sweets we definitely make for this festival is Kheer, its a must for this festival along with savouries like murukkus/chaklis and crispy rice balls aka seedais. 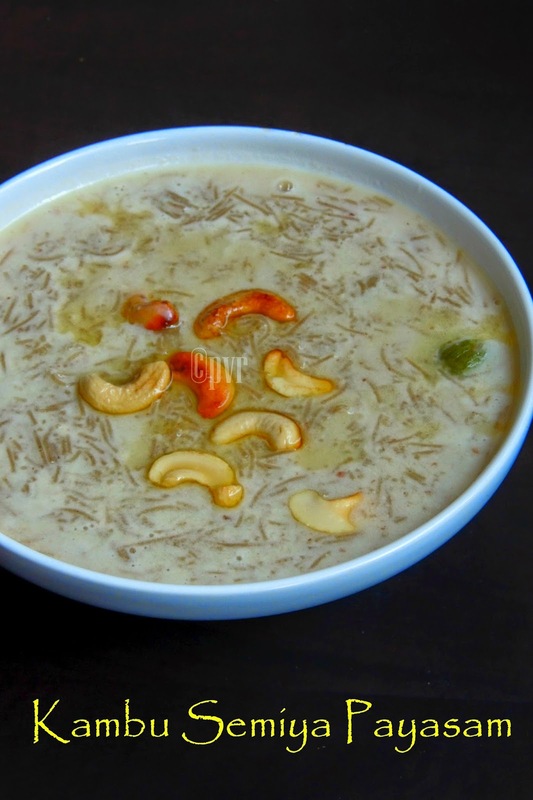 Instead of making the usual kheer, give a try to this healthy pearlmillet vermicelli kheer.Pearlmillet vermicelli is easily available in every Indian cost price shops, i got few packets from India. Now am trying to add these healthy vermicellis in our daily menu quite often. Surprisingly every dish i prepared with this vermicelli turned out extremely awesome, even my lil one dont complain about this healthy addition and enjoying these healthy pearl millet noodles as anything thoroughly..Check out the Blogging Marathon page for the other Blogging Marathoners doing BM#42. Soak the pearlmillet vermicelli in water for few minutes, drain it and arrange it over a greased idly plate. Steam cook for 5minutes,remove it and keep aside. Bring boil the milk, milkmaid together, let it gets bit thick. Add the already cooked pearlmillet vermicelli, crushed cardamoms to the milk. Cook for 5minutes, put off the stove. Heat the ghee, fry the cashews nuts, once the nuts turns golden brown, add it immediately to the kheer. It looks sinfully delicious and no one would know it is millet vermicelli looking at it. Payasam looks so tempting. Healthy version of the tasty vermicelli payasam. I'm drooling on this yummy healthy kheer..
Millet Vermicelli is something completely new to me. This is exotic and delicious. You are rocking as usual priya!! Customising all the ingredients... You are queen in the field priya!! Millet semiya is very new. Such a delectable way to have this healthy ingredient. Very nicely made. Kheer is always a popular treat. That is a lovely payasam Priya .healthy and perfect for any occasion. Haven't heard or seen pearl millet vermicelli. Will look for it here. Kheer looks yummy. I have not come across millet sevai here. I wish I can get some! Any kheer is delectable in my opinion. This one looks delicious. What an innovative recipe .Looks so good Priya!